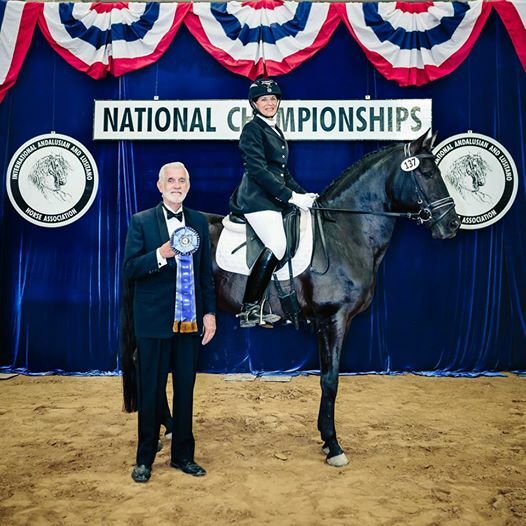 Preto is shown with Lucy Knorr at the IALHA National Show in 2016 after winning a National Championship and a Reserve Championship. 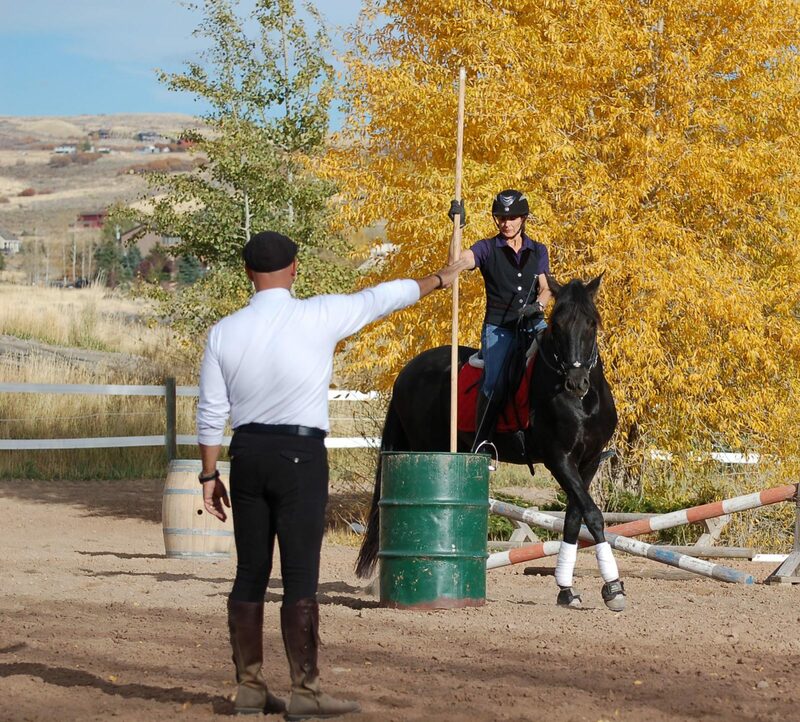 Thank you Lucy for doing such a great job with him! 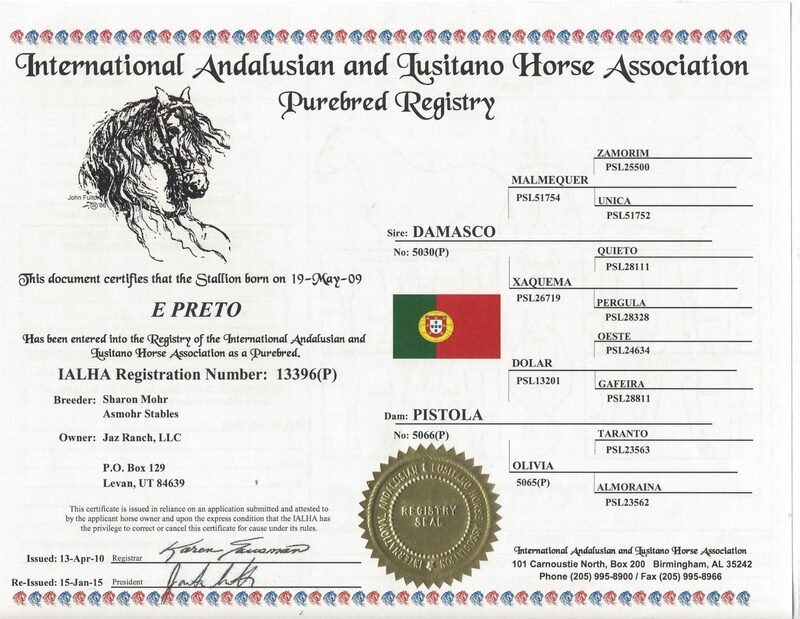 Jaz Ranch also wants to thank Sherry Mohr in New York for selling Preto to us as a weanling. He has been everything we hoped for! 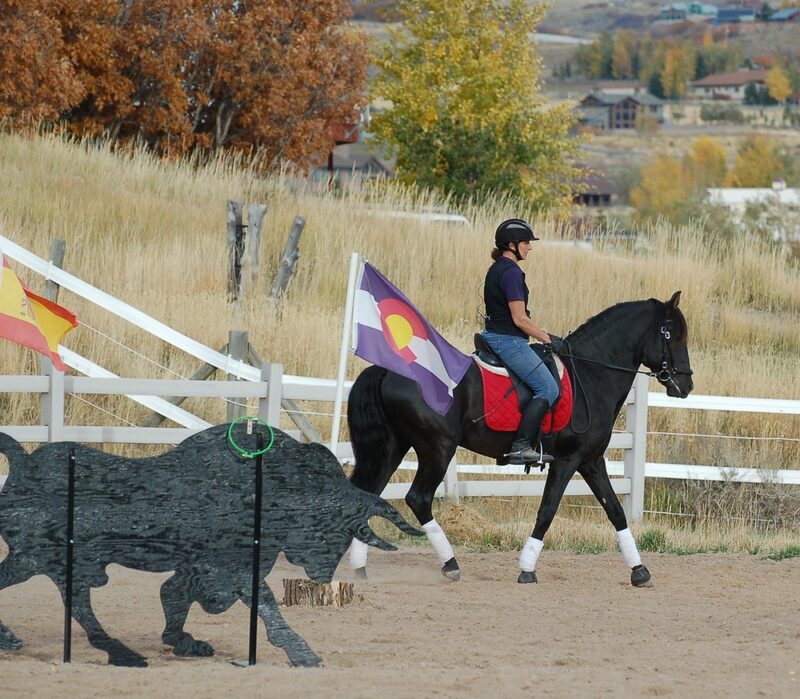 From show horse to Herd Sire ~ Preto was retired after the National show in order to sire Jaz Ranch Ameritanos. 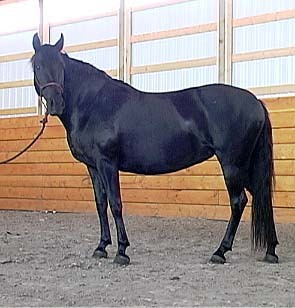 Ameritanos are a cross between a Lusitano and an NFQHA Foundation Quarter Horse. 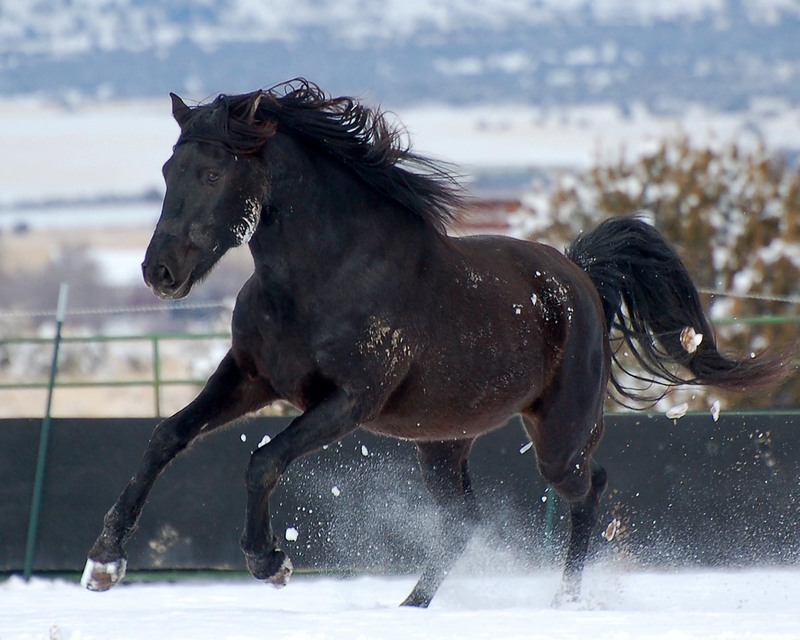 PRETO'S 2018 FOAL CROP IS HERE! We are over the moon about them. 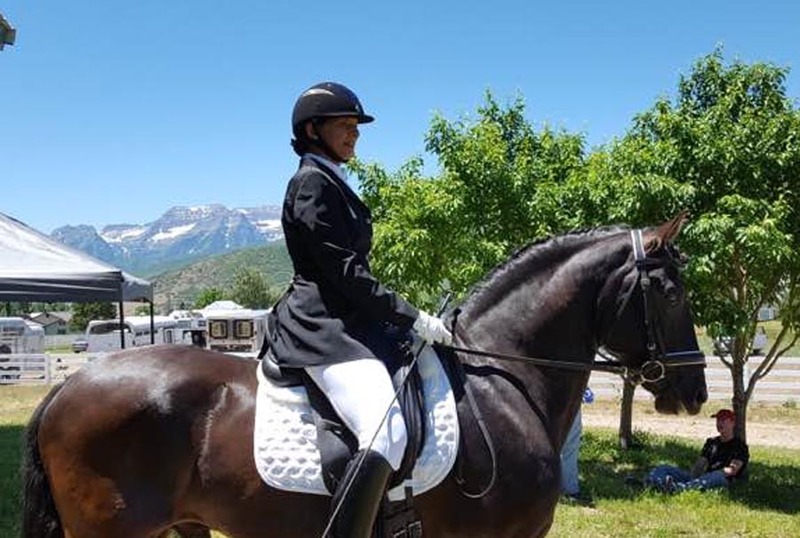 Beautiful and sweet - they will be extremely athletic and able to go in any direction including ranch horse, cowboy dressage, working equitation, reining, cutting, and of course pleasure horse extrodinaire! 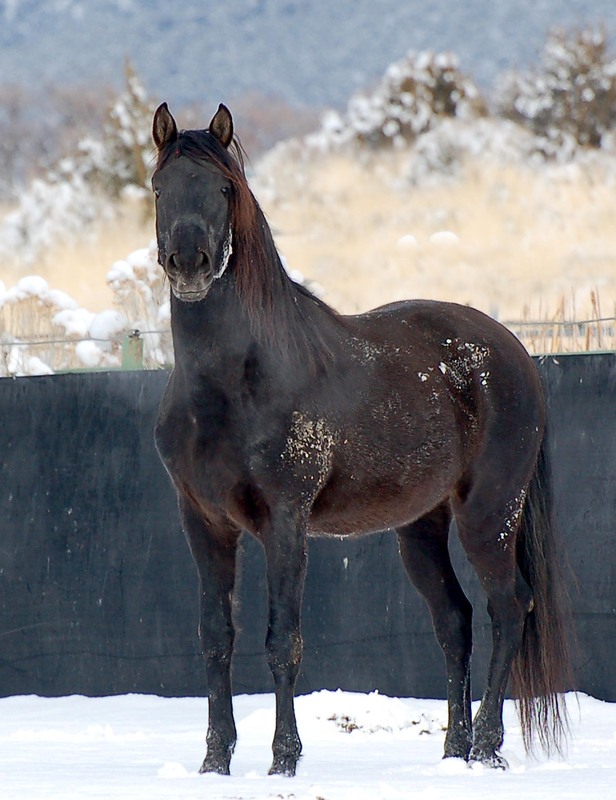 Preto's first Ameritano foal, Armani, was born in 2017 and is shown at the bottom of the page. 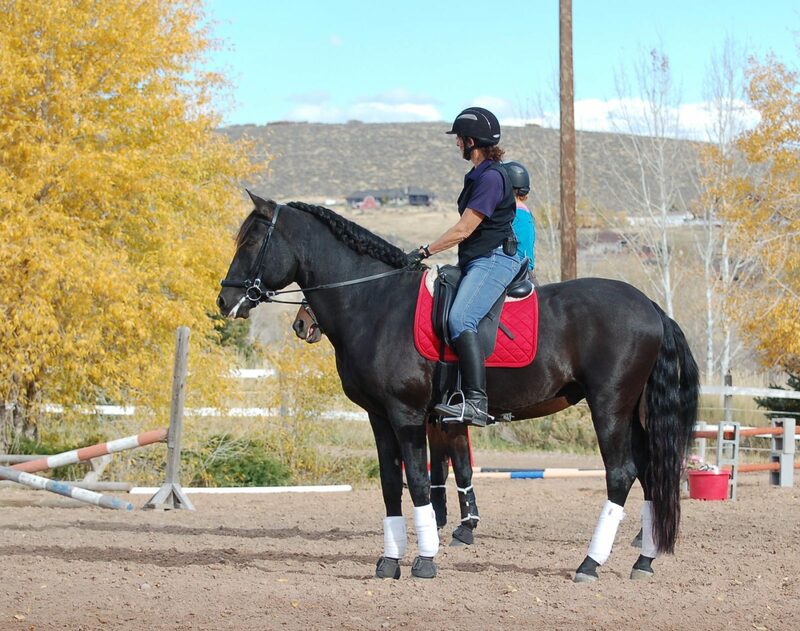 Above: Preto as a three year old in 2013 with Shayna on his first ride after his colt start in Oregon. 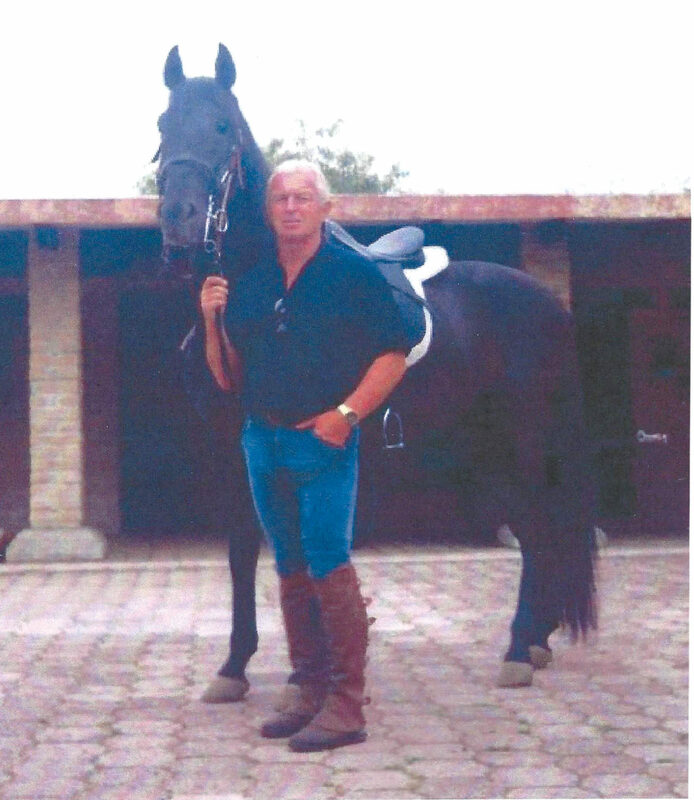 Above: Preto as a four year old at Brookside Equestrian where he got his dressage start with Shayna Simon. 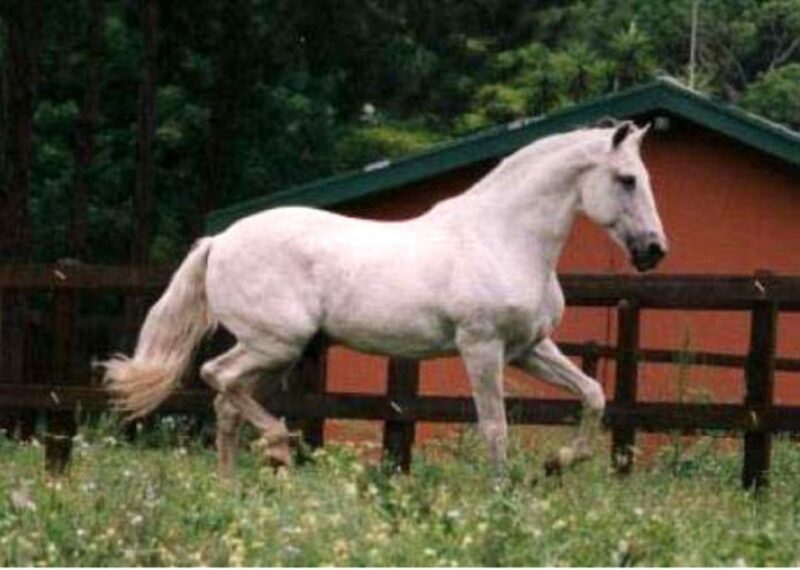 Dolar, shown below is both Preto's maternal grandsire and Pequina's sire. 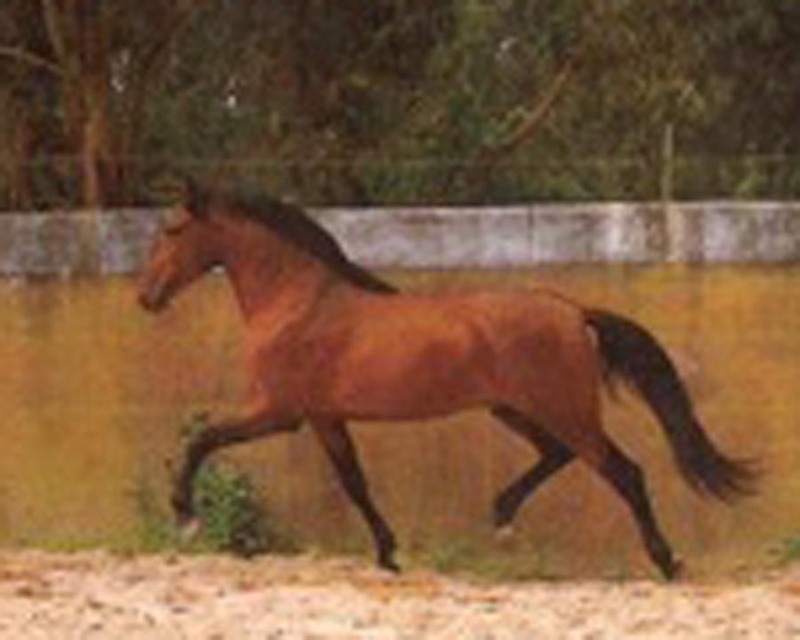 Dolar was a 17.1 bullfighting horse. Preto is very high percentage Veiga. 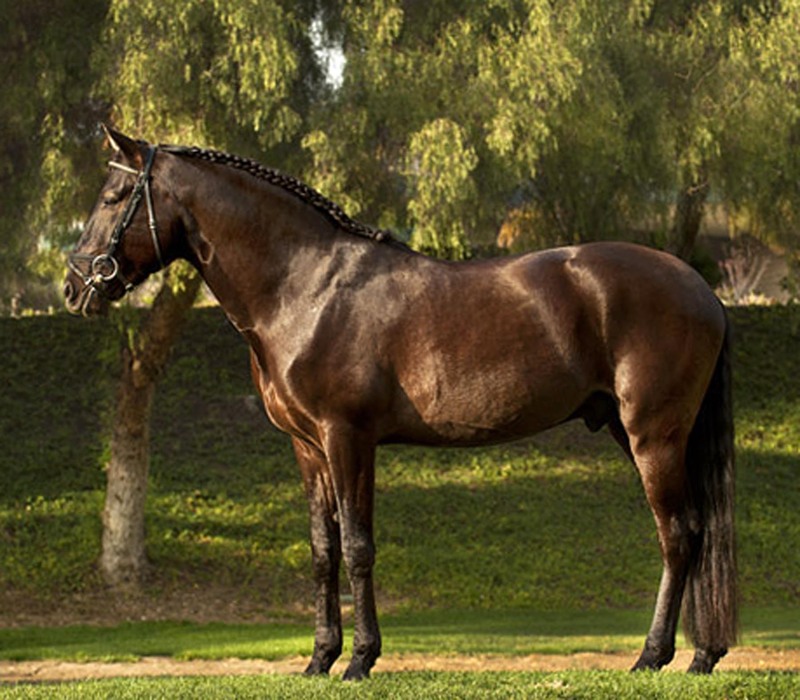 Preto's pedigree is full of famous Lusitano sires: Malmequer, Quieto, & Oeste among others. 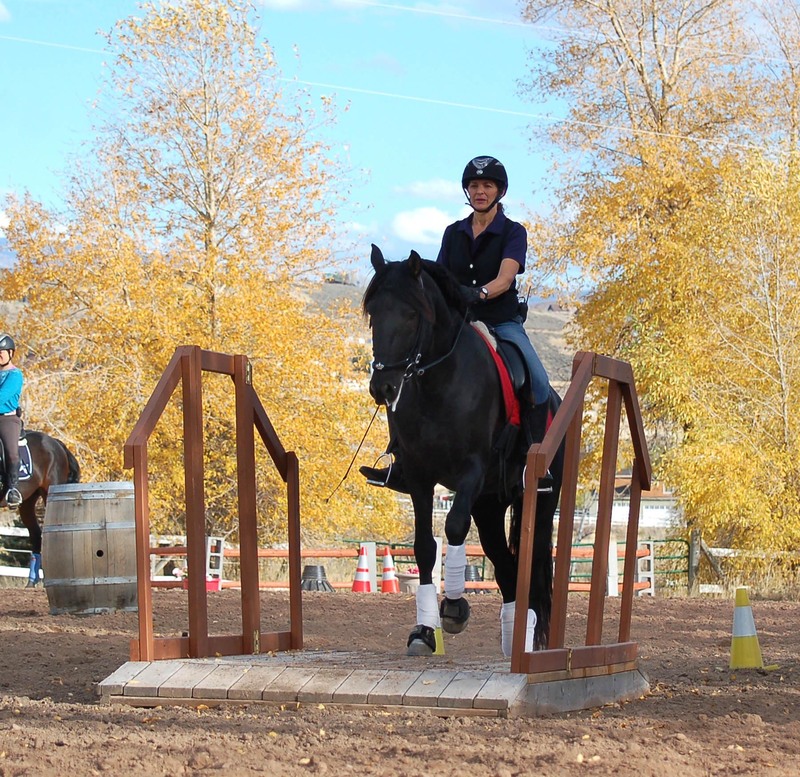 Lucy and Preto in 2016 at their first working equitation clinic. 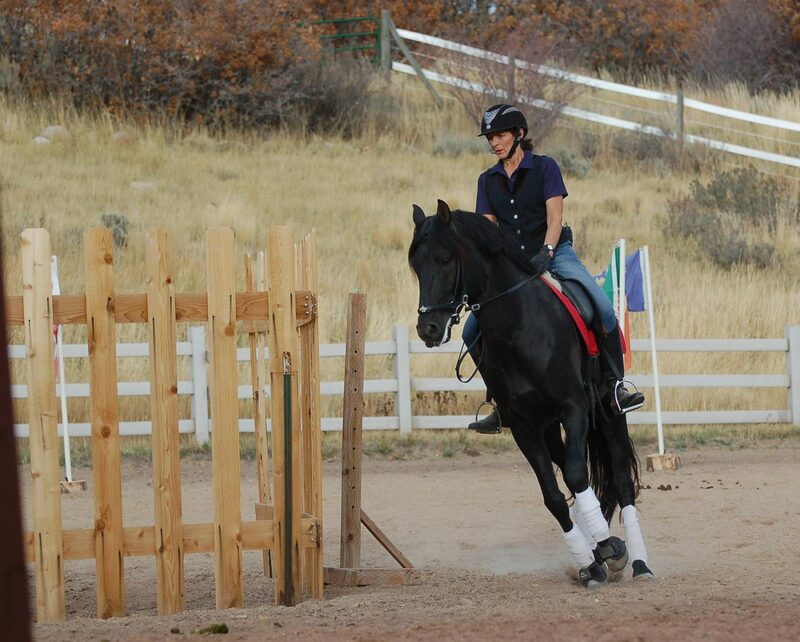 Preto (and Lucy) did everything great! 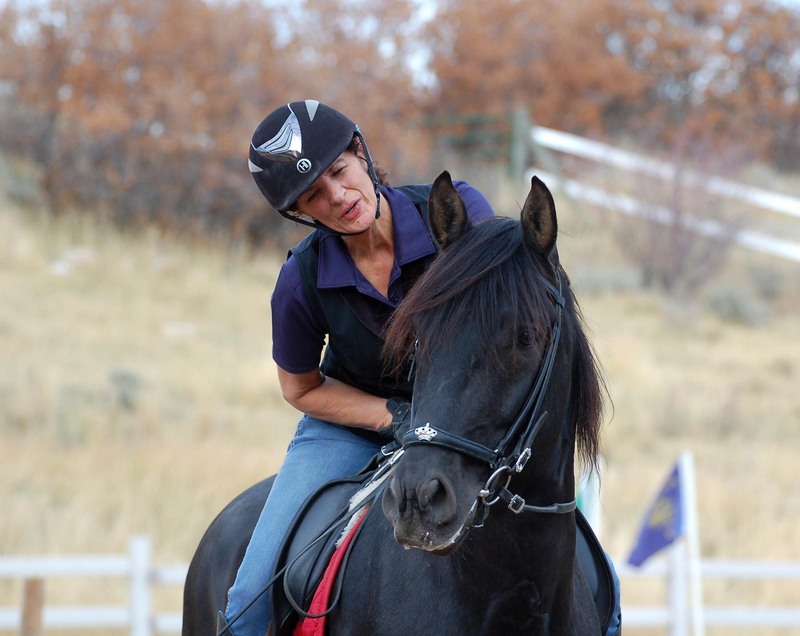 Preto's versatility and fantastic mind is one reason we chose him to cross on our wonderful NFQHA girls. Preto getting lots of love from Emma and Lucy. He is always a favorite because of his wonderful disposition. 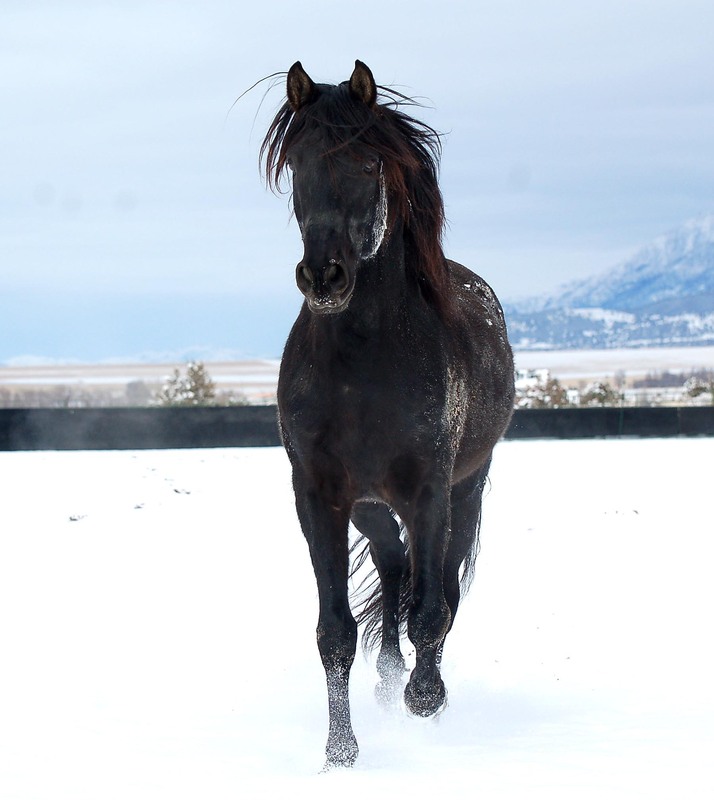 Preto playing in the snow January 2018. 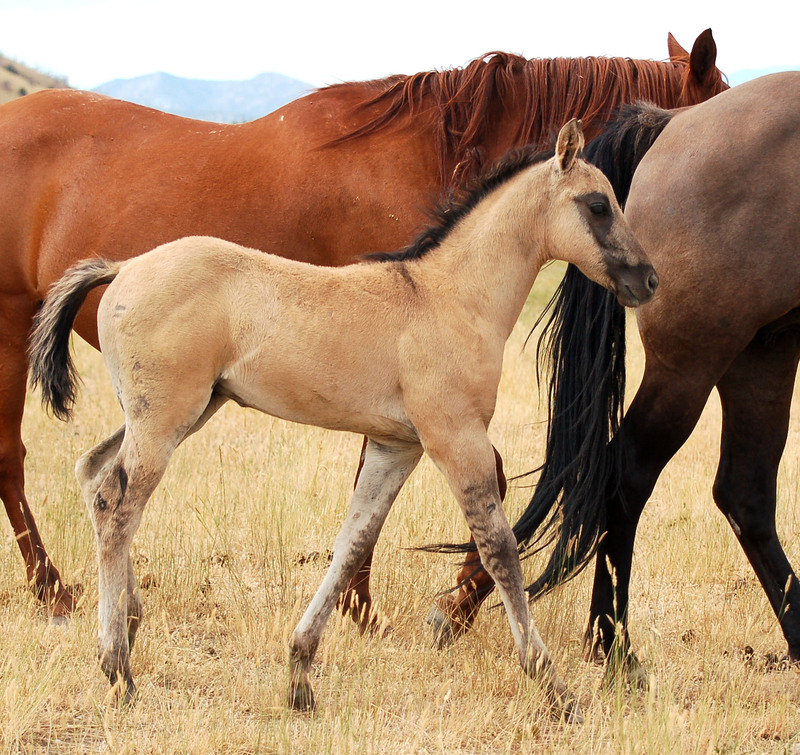 Preto's first Ameritano foal, Armani, is shown at a few weeks old; and at 4 months with April (world's best horse transporter) the day he left for his new home in South Dakota. Armani's new owners, Melissa & Ty Fowler have a huge cattle ranch in South Dakota - the perfect place to test the talents of this special colt. It will be fun watching his progress and discovering his natural abilities during the next few years. 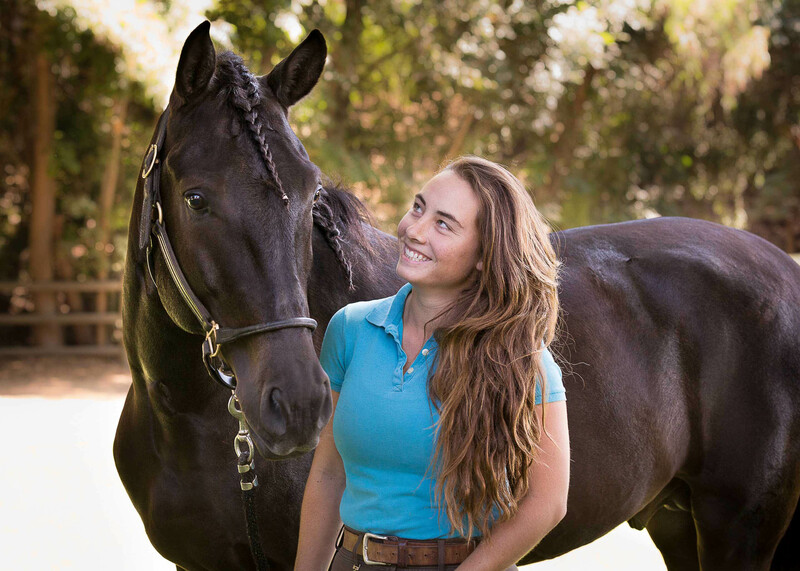 Melissa and Ty purchased another Ameritano, Acero, from Jaz Ranch 6 years ago and Melissa said he was the best horse she ever had! All Ameritanos qualify as Aztecas ~ but very few Aztecas qualify as Ameritanos! 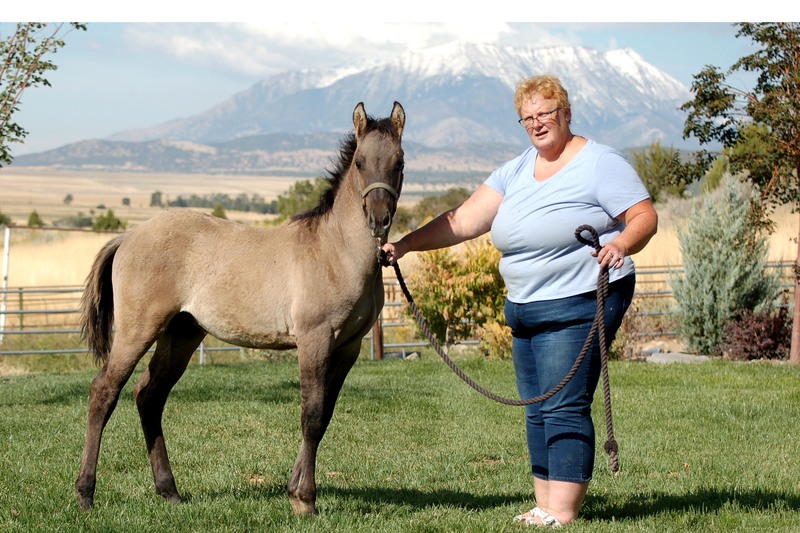 From Show Horse to Herd Sire. 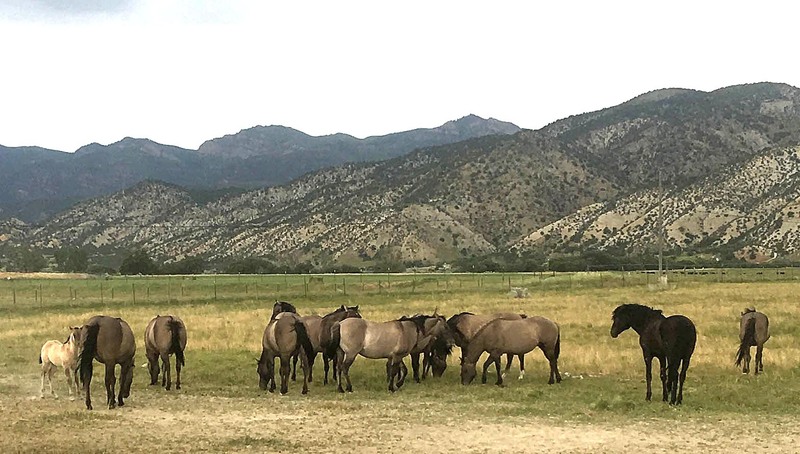 Preto is shown with his herd of Foundation Quarter Horse Mares in the summer of 2017. We are very excited to see this first full crop of AMERITANOS from our guy Preto! 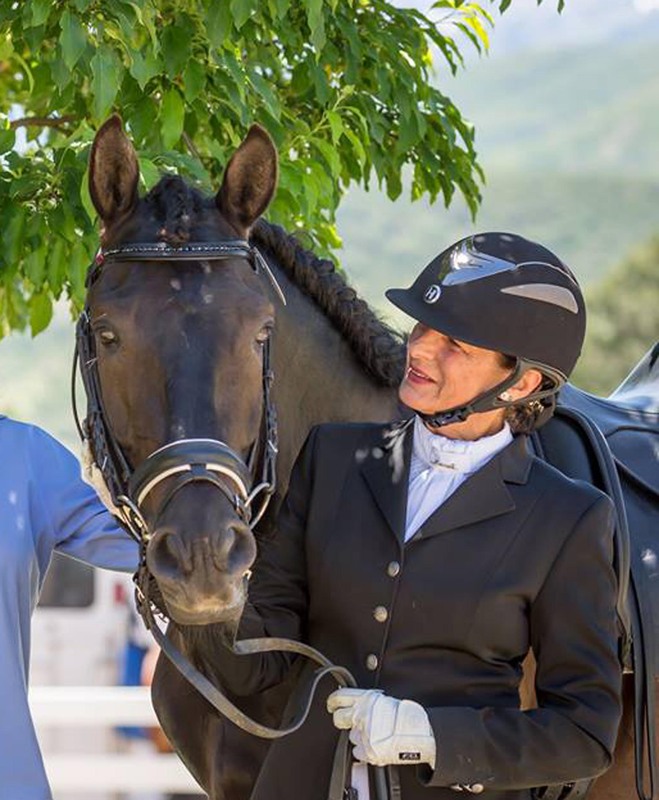 In 2018 Preto will also be bred to two daughters of Quartete do Top - Zaphrodite (S/P), and Xprima Donna CD (Lusitano granddaughter of Halconero)!